Greetings, once again our school is embarking on our 4 week celebration of Canadian children’s books. Four books published in 2015 are nominated each year. 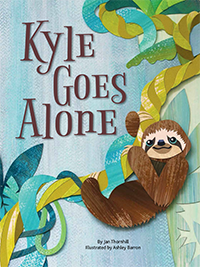 This year one of our nomimees is an owlkids publication: Kyle Goes Alone by Jan Thornhill and illustrated by Ashley Barron. We will be reading the books to all 400 of our students over the next weeks. They in turn will vote for their favourite. We would appreciate any promo material and an extra copy of the book would only be added bonus. We are very excited about this as one of our book choices this year. We began reading the book to children through the library yesterday and they loved it…great storyline, creative illustrations. Perfect for K- gr. 5 students. Please pass on to Jan and Ashley our nomination of their book. We will let you know at the end of November which book is our winner. Thanks so much Jenny. How great to hear that Kyle has made your school’s Top 4 list! What an honour! I wish I didn’t live so far away from Langley, BC. 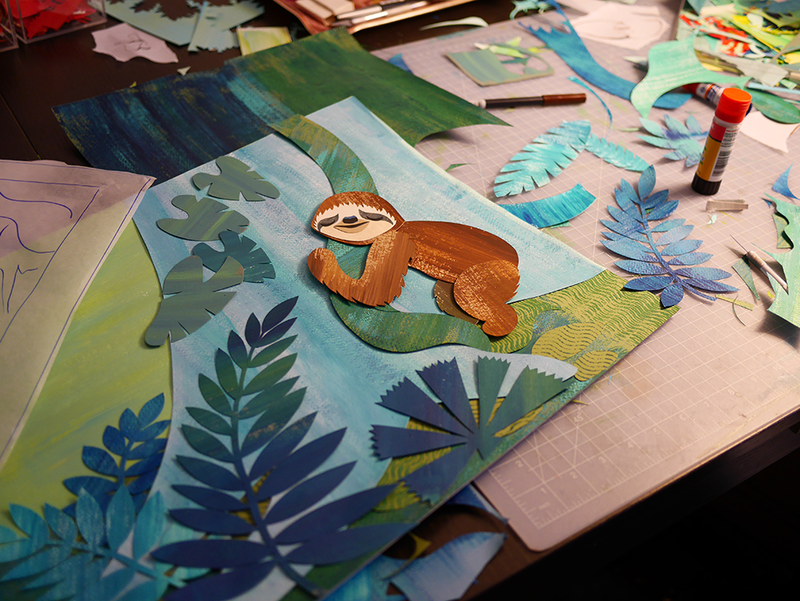 Otherwise, I would have loved to come by the school for a visit and share an art activity with the kids! Please do keep me informed about this fun event! Thanks so very much for sharing the news with me and please say hello and thank you to the students for me!